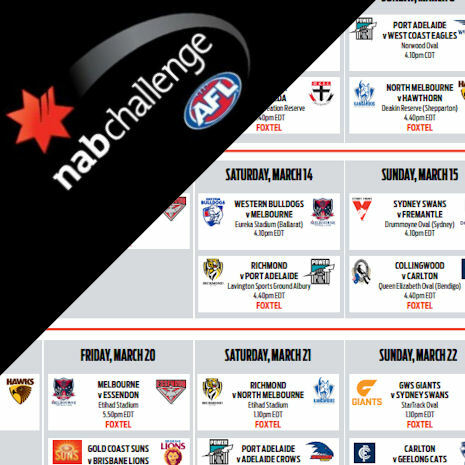 The NAB Challenge fixture was released today with three games per club over four weekends of footy before the real thing kicks off in April. The 2015 NAB Challenge kicks off at the end of February with a game in our hometown, Launceston, between the Hawks and the Magpies. This match will be on Thursday night with a fixture on each of the Thursday nights of the four week pre-season ‘competition’. Maybe something we might see in the future for the AFL with a preference for Thursday night games over Sunday or Monday nights. There will be one footy-free weekend between the challenge and round one. 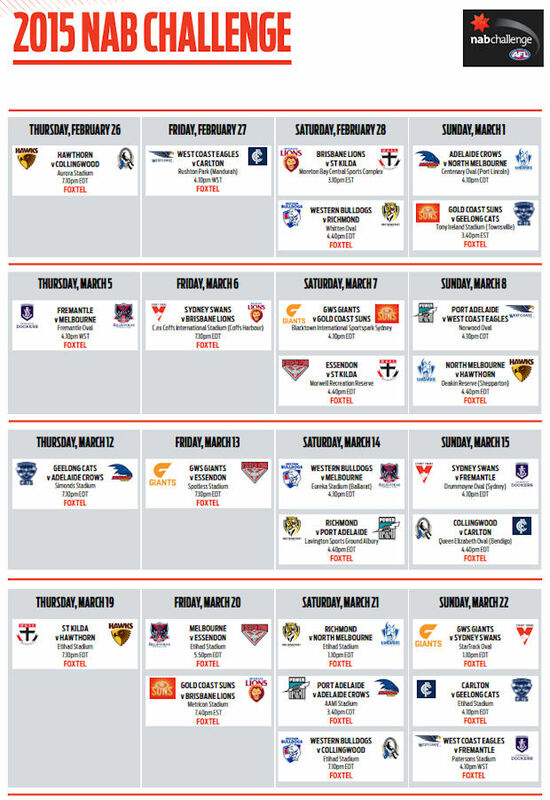 Mark these dates in your diary as the NAB Challenge is one of the most important parts of our AFL Fantasy pre-season. We’ll be running plenty of content with all of the scores and info you need to know over each of these games with analysis that will be integral to your pre-season study. The full 2015 home and away fixture will be released on Thursday. Check back to DT Talk for a look at what we need to know for Fantasy in 2015. That is, when the byes are, how round one looks, partial lockouts, etc.